People seem to like what I do, so I figured I'll have this thing, everyone is on nowdays. I try to keep everything I do absolutely free and Open Source, so don't ever feel obligated to donate if you're enjoying the stuff I do, but if you want to support me, first - this is awesome, and second - this will help me make things on a larger scale, something like a hosted service for my next project, which I cannot afford at this very moment. Either way, drop by my github now and then, there is a lot of cool stuff, as well as my blog, where I release designs and animations for streamers, if you're into that sort of thing. Support all my ongoing projects. Every $ will go towards server and software fees. 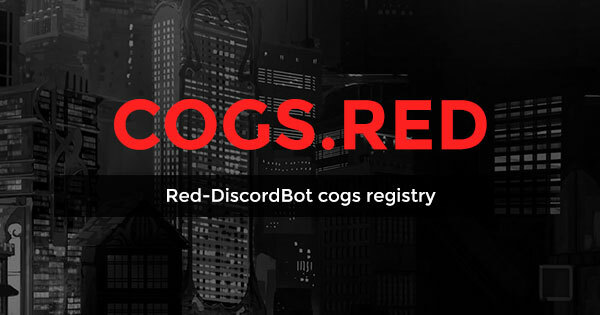 If we reach this goal, I will be able to call COGS.RED a fully stable project at this point. Current setup is pretty robust, and all it needs is funding.